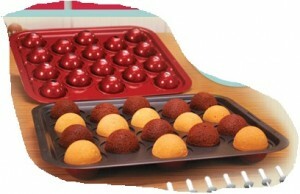 Discount*Cheap Cake & Cupcake Decorating Supplies! 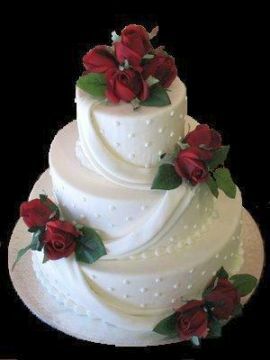 A lot of cake decorators – both novice AND experienced alike – have concerns about how to get their tiered (aka stacked) cakes safely to their destination. I totally understand this frustration! TRUE STORY: A few years ago, John’s folks celebrated their 50th wedding anniversary, and the party that his sisters put on for his folks was nothing short of incredible (I regret to say that the BROTHERS didn’t do a whole lot in helping plan the day!)! I’m away from home right now, but I have a photo of their original wedding cake. 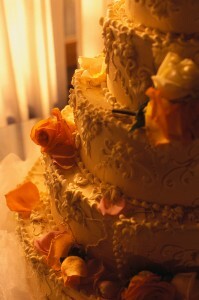 Well, Ann REPLICATED this cake from 50+ years ago, and did it only from looking at the Black & White photos of the day. She did an incredible job. One tiny eensie-weensie issue though… While assembling (or transporting – I forget now) the cake, the UNTHINKABLE happened. Dropped a FULL layer of my in-laws surprise 50th anniversary replica of the cake. Fortunately, my sister-in-law is a bastion of total CALM in situations like this. She merely decorated and displayed the cake without using the ruined layer. I honestly don’t know how she did it, and I’m sure you can guess that NO ONE NOTICED. I wouldn’t have noticed if she hadn’t shown me the photo of the original and pointed out the missing layer. Anyway, the point of my telling you about this story – because it really DOES happen in real life! – is that there are some pretty amazing cake supports systems out there these days. When I came across Cake Stackers, I had one of those “ah ha!” moments, and knew that THIS is a resource my readers probably want to know about. In my correspondence with Stephanie over at Cake Stackers, she told me I could use the photos and videos to help you understand how their cake supports systems work. All photos and videos of the Cake Stackers systems here on this site are used by their permission – and I promise to add more info on this resource very soon. 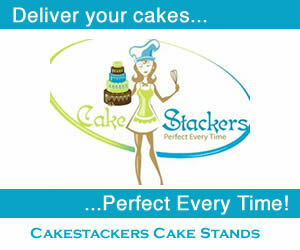 So, if you would like to head over now, please CLICK HERE to view the best Cake Stacking System by Cake Stackers. The more I look at Cake Stackers and their cake supports system for making and stabilizing tiered cakes, the more I like them. For example, take “Bake Pops” – the little gizmo you see here. This is absolutely BRILLIANT! I’m going to be writing more about these little gems, but it’s so simple, I cannot believe these aren’t EVERYWHERE now! All you do is fill the special little “Bake Pop” pan with any cake batter, and put the stick in, decorate or dip it, and voila! Bake Pops! I mean, how incredible is that? What the folks over at Cake Stackers have done is nothing short of amazing. If you are even remotely considering running a cake business, I truly believe that the tools the group over at Cake Stackers offers is a must. I don’t know if you read my introduction to Cake Stackers earlier, where my sister-in-law Ann had made a replica of my Mother and Father-in-law’s original wedding cake for their 50th anniversary. But, to make a long story short, what happened is that in transporting the cake, she lost a layer. Fortunately, my sister-in-law is very quick on her feet, and even though the cake wasn’t exactly the same with the lost layer, no one outside of a few people ever noticed. This just would NOT have happened if Ann had a cake stacking system like these. I realize that this is not a cheapo piece of equipment people. 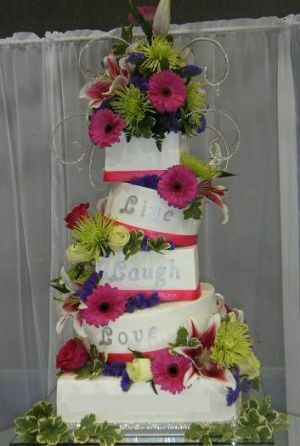 But, if you are serious about making multi-tiered cakes, this can improve your productivity, increase your confidence, and once you start getting creative with the different stands and supports, along with some of the more “crazy” designs like the “Topsy Turvy Stand,” I can’t imagine that you wouldn’t be getting oodles of orders! The kind people at Cake Stackers has actually made it pretty easy to get started with a basic “Genesis Cake Support Set” which is for making a 3-tiered cake. And it’s only about $70. This picture (I have permission from Stephanie at Cake Stackers to use these photos) of the small “Topsy Turvy” cake shows the use of the Genesis Cake Support Set AND the “Topsy Turvy Stand Kit” (which you can get for 3 Tiers for only about $40). So, for less than $125 or so, you can have some exceptionally professional and creative tools to start with. CLICK HERE to Shop Now & Use Coupon Code ACC509 to Save 5%! Take a look at the videos I show, below, of the Cake Stackers in action. I think you’ll agree that this is one tool you’re going to enjoy a great deal! Sticky: Welcome to Our Cake Decorating Resources Site! Hello! I started this small site because I have some very special people in my life (you’ll meet some of them here) who are really into cake decorating. They also want to pursue cake decorating as a serious business – and run a serious business from home -but resources are sometimes a little difficult to locate. One of the very best I’ve ever seen – anywhere – is what is widely known to be the best cake stacking system, and it’s also very artistic. 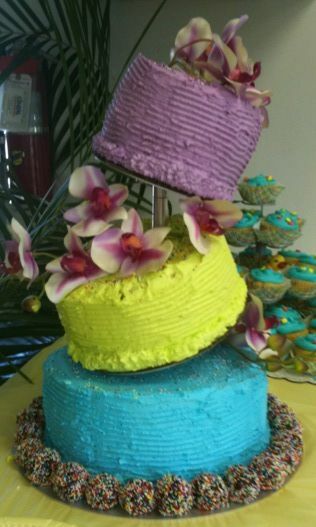 It’s called Cake Stackers – and the photo of the “Topsy Turvey” cake you see to the left is created using their system! Click Here to check them out! If you are into cake decorating and want some easy-to-locate and easy-to-use resources and supplies – I have done my best to find the best cake decorating techniques, tools, videos, supplies, courses, and books that I could. Yes, there ARE a few cake decoration supplies, tools and equipment you need if you’re going to learn how to decorate a cake – or even a cupcake or a cookie! But you truly do NOT have to spend a ton of money on this stuff folks. My mother and father-in-law make the most gorgeous cakes and desserts, and they use a bunch of the basics – pastry bags, tips, spatulas… and of course, yummy icing and the colors necessary to make those gorgeous pastels. Really, just the basic supplies. I always enjoy visiting them when they’ve got a big project going on. For example, my father-in-law works part-time at a golf course, and every year the golf course has this huge end of season get-together for one of the tournaments. He and my mother-in-law always create a LOT of amazing treats and desserts for this event. Welcome to Learn How To Decorate a Cake! Hi everyone, and welcome to my Learn How to Decorate a Cake website! I’m just getting started today, and have a ton of stuff I’d like to share with you that I’ve been learning about, and hope you’ll come back soon! This site was started because of some of the people in my life are really into cake decorating, and I started trying to help figure out some resources that they might enjoy or could use. One thing led to another, and well, here we are! One of the things that people have been going crazy for is the amazing Cake Stackers, undoubtedly one of the BEST cake support solutions available today. 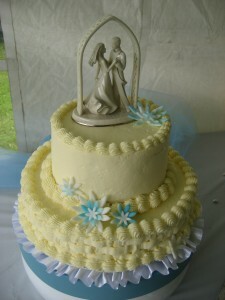 Learn more here at www.cakestackers.com and you’ll see what we mean! In the meantime, please keep checking back! (PS: As we go on, we’ll be talking about the amazing folks at “Yummy Arts” and other teaching resources and how they can help you learn amazing cake decorating techniques! To see what they’ve got going on at their membership, Click Here! The ULTIMATE Cake Support System for EVERY Cake Decorator!